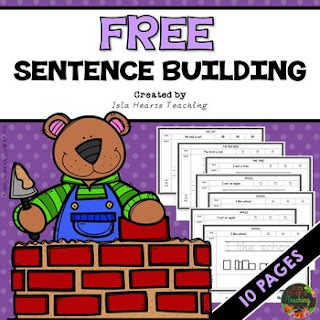 Your students will love these free NO PREP sentence building worksheets. The skills included are: reading the sentence, writing the sentence and cutting and gluing the words in the correct order. They are perfect for literacy stations, reading groups, homework, early finishers or morning work. WANT MORE SENTENCE BUILDING WORKSHEETS?